Imagine a place where nature is in its most natural state, where lakes teem with fish and the abundant scenery will leave you breathless. Picture for yourself crystal-clear water or the lone call of the majestic loon, while savouring the soft splash made as your lure breaks the tranquil silence surrounding you. 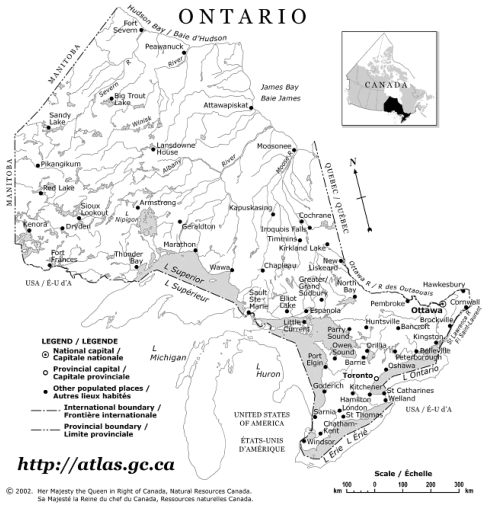 This utopia is none other than Ontario - an accessible paradise that you can call your very own. 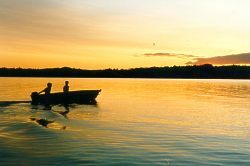 Ontario boasts more than 400,000 lakes, rivers and streams - enough water to quench the thirst of even the most ardent angler. From fly-rodding for trout to waging war with the mighty muskie, the possibilities for world-class fishing are endless. If your style of fishing is to wade a pristine stream or to troll the largest of lakes, we have the perfect spot to lure you in. Be the first to cast a line to fish that have yet to see an artificial bait. Re-discover your inner-child while staring at the massive pine trees that line the shore. Revel in the excitement and exhilaration as you lift the net under yet another formidable adversary, all the time wondering why you never made this pilgrimage before. Dreams can come true, and Ontario is just what you have been wishing for. Ontario boasts the world's largest number of lakeside resorts and lodges; one of which will be sure to suit your needs and budget. Take a short drive from the bustling city to a hidden retreat, or board a plane for a fly-in getaway, either way you can be assured of professional service and a "shore lunch" to remember. Once summer makes way for winter, a new realm of fishing is at your doorstep. Take part in the ritual of ice fishing, and discover the incredible way this activity can warm your soul on even the most cold of days. Whether you prefer to brave the elements or warm up in an outfitters hut, the results through the ice will amaze and delight you. Fishing, however, is not the only resource we have to offer. Come camp in one of hundreds of provincial parks that are at your disposal. Hike the beaten path or get lost in your own trailblazing - the wilderness is endless. Canoe the route Samuel de Champlain once did, and make history on your own time. Bike, blade or walk the thousands of thoroughfares, and let the beaming sun be your timepiece for the days adventure. Relax by yourself or incorporate a family vacation into the mix. Marshmallows by the fire, ghost stories in the tent, and the look of astonishment as a child hooks their first fish are time-honoured traditions that you owe to yourself to experience. The hardest part will be deciding what to do. You name it. Ontario is brimming with possibilities. Give Ontario a try this year and discover the beauty and adventure that this province holds. Its unparelled landscape and activities will have you returning year after year - with memories that will stay with you forever.